Solution – Global Mobile Payment Standard Inc. 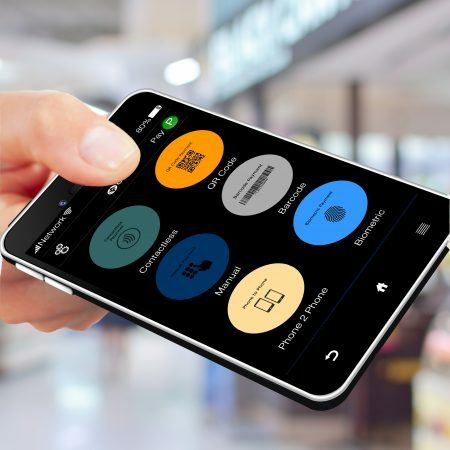 The Global Mobile Payment Solution includes our wheel App with all its great value-added services, as well as a basic solution for older cell phones. Both, cell phone solution and the App, will make global transactions available and can be used to pay with. With security as the highest priority, our payment solution for mobile devices together with currently developed mobile App is dedicated to unbanked customers or today’s non-consumers. PAY – for easy and secured payment by NFC, Biometrics, QR code, Bar code, P2P or Manual payment. ATM – for ATM withdraws and Deposits to be handled directly from the mobile device without any physical contact between the mobile device and the ATM. SEND – for money transfers and exchange, both cross border and domestic transactions with the fairest exchange rates. BILLS – for automatized repetitive payments with easy invoice payment feature. MEMBER – for member and loyalty program management, combined with our payment feature. TICKETS – for any ticket management combined with loyalty and payment features. VERIFY – for Digital Signature and Digital ID such us Driving License or similar. REQUEST – for small businesses and merchants to make payment acceptance possible without cards and terminals. GMPS is a revolutionary invention of the last decade. Its essential meaning is Transfer Messaging for mobile payments. It became the first centralized payment network for banked and unbanked individuals and businesses. In a nutshell, GMPS is the future for global use of mobile payments. Its original purpose is providing all people with universal transaction tool for different operations.